A whole host of events to celebrate World Heritage Day is taking place on 18th April at Green Park Station. 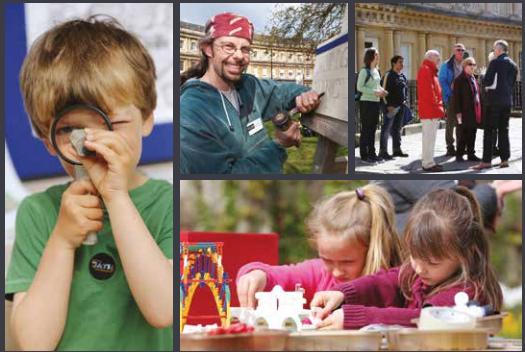 The planned activities include free guided walks around parts of the city, as well as finding out more about the Bath Abbey Footprint and the Archway Projects and talks and workshops from the team at the Roman Baths and the Bath Record Office. Green Park Station can be found on Green Park Road in the centre of Bath. The activities will be in the Market Square and talks will be held in the Upper Hall, which is over the road at the Salvation Army Bath Citadel. Green Park is easily accessible by bus, with stops on James Street West just a short walk away and nearby public car parks at Kingsmead Square and Avon Street.